So, who remembers my entry for Retro Challenge in January? It was quite devoid of effort and results I think you’ll agree. Well, this time around, I’ve taken that theme and pushed it even further! Even less effort and much less result. 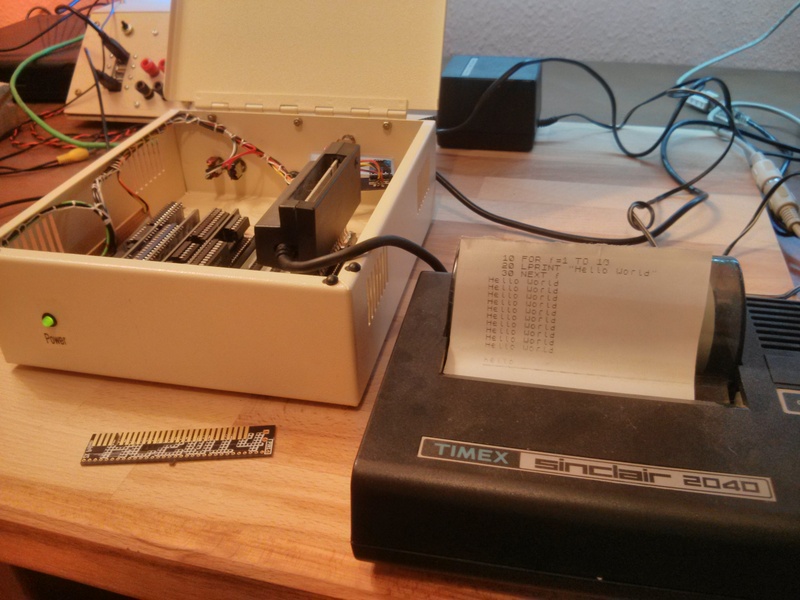 Since January, I have had a few opportunities to carry on with the ZX81 Module. Because I wanted this to be a Retro Challenge project, I deliberately avoided doing any work on it, so I could save it all for October. Well, October started and I was overwhelmed with non-Retro Challenge stuff. But after a couple of weeks, I had a spare afternoon, and decided to dedicate this to the ZX81 Module! Time to wrack my brains and work out what my plans had been 9 months earlier. I had failed to put any component values on the PCB, or even my Kicad schematics, so had to rifle through original ZX81 schematics to work out what these should be. And that’s about it. I have ordered the rest of the parts now, but not had an opportunity to fit them. yet. One thing I have learned from this experience though, is that if I get any opportunity or urge to work on this, then I will seize it. Not wait until the next Retro Challenge. If I’d done work on this months ago when I had the chance, then this would more likely be a trouble shooting / tweaking / developing challenge. One other good thing that has come out of this though, is that when I started this in January, I had a few design changes or additions required for the RC2014 for it to work. The Backplane 8 has the ability to add resistors between the CPU and the RAM. The Universal Micro Keyboard has the right connections to work with a real ZX81 or this ZX81 Module (including diodes). The CPU Module also now has BUSRQ, WAIT, NMI and WAIT pins broken out which is required for this. These changes should all make things much easier. Despite my poor efforts this time around, I have thoroughly enjoyed seeing what everybody else has achieved with their Retro Challenge. Good work everybody else! So, all the way back in deepest darkest December, I announced I would enter the Retro Challenge 2016 competition that ran throughout January. Those of you that followed by blog or Twitter account when I did this in 2014 will know that I blogged and Tweeted relentlessly for the whole month, but, this time around, almost nothing. Obviously, I’m keeping some secret about an amazing breakthrough or something, right? Well, truth is, I’ve done almost nothing. Things started well, and on 1st January, I designed a new backplane for the RC2014. Although I hadn’t studied the circuit diagrams for the ZX81, Jupiter Ace or ZX Spectrum yet, I knew that there were resistiors between the Z80 CPU and other devices. 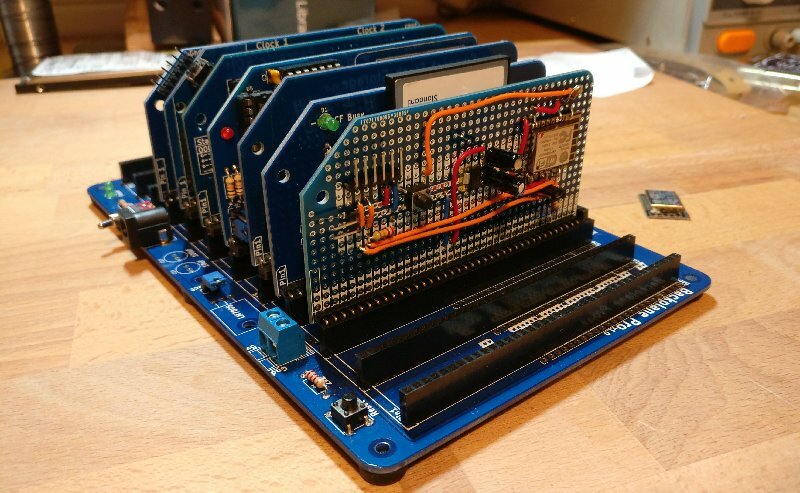 The stripboard backplane I’d been using had served me well, but it was time to progress to a better solution, and one that could be adapted better to my needs. Knowing that PCB delivery times could be against me, I thought it best to crack on and get this ordered. The basic circuit is very very simple – however, I wanted to get this just right, not only for Retro Challenge 2016, but for other possible RC2014 uses. Essentially, there are 8 40 way connectors that are linked straight through – however, the data lines and address lines for the leftmost 2 connectors and rightmost 2 connectors are separated by a pair of pads. 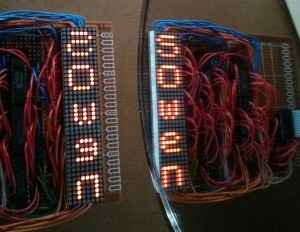 These can either be shorted together for up to 8 commoned connectors, or have resistors soldered across them. I also added a power connector and the option of either running 5v directly in to the board, or regulating a higher voltage down via a LM7805.